Victoria P. Width, Ph.D., CSP, F.C., is a licensed Psychologist (NJ License #3896), a licensed School Psychologist (License # 16300), a Forensic Consultant, and a New Jersey Certified Divorce Mediator. Dr. Width, a scholarship graduate of Gordon College, has graduate degrees from Rutgers University, Kean University and Seton Hall University. She completed her internship at Elizabeth General Medical Center (now Trinitas Hospital) in Elizabeth, NJ, and Children’s Specialized Hospital in Mountainside, NJ. Dr. Width worked as a school psychologist for 15 years and has been in private practice for 20 years. She is a former member and director of the New Jersey Neuro-psychological Association and the Association of Affiliated Family Courts of Conciliation. 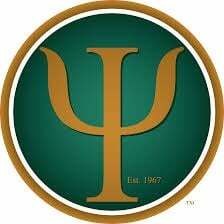 She is currently a member of the American Psychological Association and the New Jersey Psychological Association, and she is a Board member of the Somerset Hunterdon Psychological Association.
" This wonderful country of ours with its freedom loving people incarcerates its citizens at a rate greater than any other nation on earth. The incarcerated include children and adolescents. The following are the stories of some of the many incarcerated adolescent males I have had the honor to work with over the course of twenty years. To continue to ensure a level of confidentiality, their actual names and hometowns are not used. In some cases the stories are a composite of several adolescents’ life experiences. The young men range in age from 14 to 20, and are overwhelmingly Afro-American, reaching 85% of the incarcerated population. They hail from our major urban cities, and at the time of my work with them, many had already moved from the more secure adolescent facilities to the minimum security residential centers in which I met them. Some of them had just arrived from local urban juvenile holding centers, to the more rural residential setting in which they were to finish out their sentences, and with good behavior work off some of the days in their often multi-year sentences. These are their stories. Their stories reflect their resilience and courage, as they struggle to understand their life narratives and turn their lives around." Dr. Width provides services to address adjustment issues in varied areas, as well as issues of a more long-standing nature. She uses a multi-modal therapeutic framework in accordance with client needs, focusing primarily on using cognitive behavioral therapeutic strategies, and mindfulness-based stress reduction techniques. Psycho-educational testing for children and adolescents is of great help in determining the learning style of an individual. Undiagnosed learning disabilities can compromise the academic functioning of a student and lead to poor self esteem and behavioral issues. Dr. Width provides a psycho-educational assessment review that outlines the student’s intellectual potential, age and grade level academic functioning, recommended interventions for home and school, and if appropriate, recommendations for support under Section 504 or Special Education. Dr. Width has provided child custody evaluations and now consults and reviews evaluations and recommendations in the best interest of the children. She provides consultations regarding testing and evaluation for Learning Disabilities, Attention Deficit Disorders, Court-Ordered Evaluations including Risk and Parental Alienation, Diagnostic Evaluations, and Custody Evaluations. Parenting Time Coordination is available, which assists parents in adhering to the child custody guidelines that have been previously established. The process is collaborative with a focus on the best interest of the child(ren). Dr. Width makes appointments for Wednesdays. If you would like to make an appointment, please call (908) 832-7306 or email Dr. Width at DrWidth@att.net. Please be prepared with your name, address, date of birth, and telephone number. Dr. Width does not participate in any insurance plans, but she does provide a receipt for each session with all the necessary information that enables the client to file for reimbursement under their health plan. Information that is useful for the client to understand includes 1) whether the client has out-of-network benefits and the extent of those benefits, 2) whether the client has a deductible and the amount of that deductible, and 3) what portion of the session fee of $150 their particular health plan will cover and reimburse.